These posts focus on the habits of great teaching; not one-off strategies but the things we do every day. Subtitle 1: The thrill of the chase. How do you know that a lesson is a great lesson? Sometimes as you enter a classroom, or even before you open the door, you detect a buzz of activity; the students are busily engaged in discussion or group work trying to solve a problem or work out the grammar rules; they might be excitedly getting stuck into their practical work or setting up the apparatus for their experiments. It might be that a student is standing at the front reading out his poem or his analysis; there might be a pair of students running through their thematic timeline of the play they’ve been reading. There might be a debate raging or expert groups waiting to receive envoys from the others. Lively. Dynamic. Exciting…Buzzing!! But that isn’t it. A bit of buzz is wonderful.. but it’s not enough; there is more. In fact, buzz isn’t even necessary. Great lessons can be heads down slog-outs; they can be quietly pensive – like a life drawing class or a session of maths practice or extended writing. Great lessons can be routine, no-nonsense, work-outs. The point is that Great Lessons, with or without the buzz factor, have something in common: Challenge. Not just for a few; for everyone. This is the core of any lesson.. and perhaps should be the single most important thing you think of in planning a lesson. Not ‘what am I going to do?’ or ‘what are the key tasks or activities?’ or even ‘what are the main concepts?’ As you walk in the door of classroom – even if you haven’t planned anything at all until that moment ( as if!) – the thing you should be thinking is: What is the main challenge for this lesson? But even that isn’t quite right. 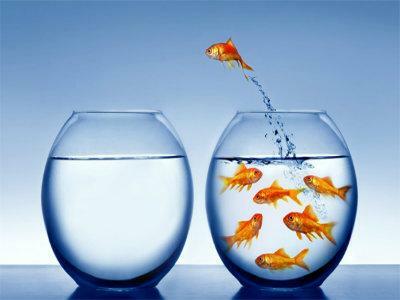 Creating opportunities for challenge is not necessarily something you plan at all; it is actually another habit. For great teachers, it is embedded in the spirit of every lesson. 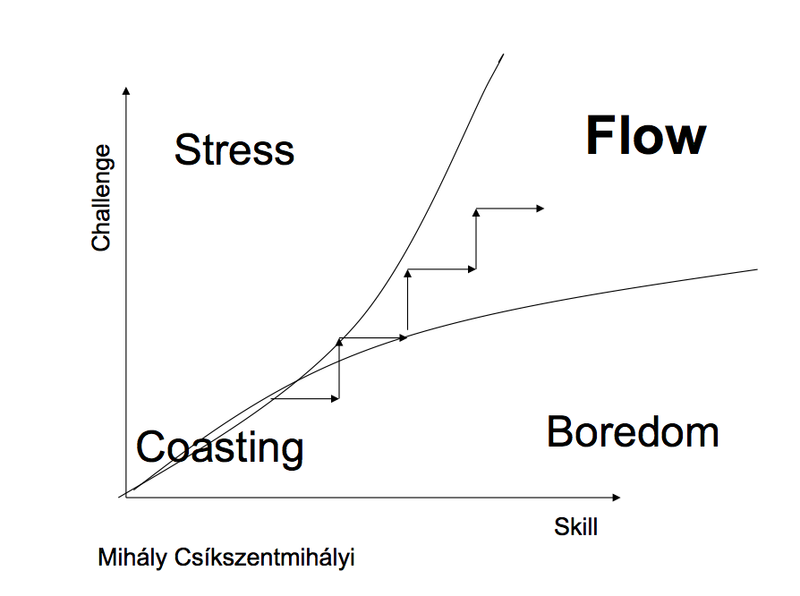 Flow: Where challenge and skill levels are high. Nonsense Comprehension. Some Science textbooks are like this. Then there is the illusory fuzz of ‘research and present’. I’ve been in lessons such as this where a student has shown me her impressive diagrams of the electro-magnetic spectrum and her completed Assignment Sheet….but could not tell me a single thing about it; she did not understand any of what she’d copied. It is possible to transfer and re-arrange a stack of information from A to B without learning a thing. Failure to establish prior knowledge and understanding is another common cause. Superficially students are busy, but they are just going over old ground..or expectations are simply too low. Students in Y9 making a Valentine’s card on Publisher with clip art…give me a break! They do that in Y3. For me the worst symptom of a ‘low challenge’ disposition is a teacher who gives away the answers too cheaply; no struggle time…almost a fear of the silence that follows a question…and before you know it, they’ve all been put out of their misery. An extension of that is recipe syndrome. “Follow these instructions, exactly, and you can’t go wrong” ….need I say more. A pet hate of mine is being in a lesson where it is clear (to me) that the students are screaming.. JUST LET ME GET ON WITH IT… but the teacher just needs to give out another 10 bits of info, reminders and warnings…..fingers are scraping down the desk.. Anxious to get on with the lesson or to get through the material, teachers can by-pass the thinking and learning by denying students the opportunity to process, to struggle, to make choices and to make mistakes. The same happens if teachers are too control-freaky and can’t bear the ‘chaos’ of students getting themselves into groups or thinking for themselves. Think, pair, share. I’ve written about this strategy here: The Washing Hands of Learning In high challenge lessons, this mode of questioning is absolutely standard; it is the default mode, with plenty of time for the thinking. Struggle Time. Teachers are often phobic about seeing students struggle – and this transfers to the students. Panic and self-defeatism ensue. It’s a major beef of mine that from a young age, children learn that mistakes are a bad thing.. and, therefore, something must be wrong if you don’t get it. Great teachers brave it out….they convey confidence that, with persistence, solutions will come after some thought. Probing Questions, – an obvious link to another post in this series plus the habit of reversing the process whereby students devise questions. Synoptic Tasks: Too much subject content is compartmentalised but high challenge lessons are about making connections. Perhaps my all-time favourite example of this is particular Y13 Geography lesson that I’ve seen at KEGS where students devise a flood defence plan for Shrewsbury. This involves looking at the geology, hydrology, climate, town development, transport and various other factors, to evaluate a range of options, taking into account all of the data. It is basically just what the town council has to do. All the content areas layer up into one almighty challenge with huge rewards. However, Geography lessons routinely have this synoptic feel to them. There are lots of other examples where multiple examples or sources are studies or where different concepts in the subject (Maths, Science, Languages).. are linked together, routinely, every lesson. Problem solving. In a lot subjects, too much emphasis is placed on straight content – including my ultimate p et hate of giving extended notes. In great lessons, the challenge comes to the fore through applying knowledge to problems. A superb approach to problem solving in Maths is described in this brilliant issue of our Learning Lessons publication by our former Head of Maths, Rachael Read. The essence of what Rachael is saying is that the intrinsic motivation of group problem solving and various Maths game formats leads to high levels of engagement is highly successful. Further examples are described in this post about Language lessons – grammar detectives and so on. Cognitive Conflict: An idea from CASE and CAME. There is no space to describe this in detail but these should be familiar to Maths and Science teachers. (No?) The King’s College ‘cognitive acceleration’ programmes originating in the late 1980s, are absolutely superb and define a whole approach that embraces the notion of cognitive conflict. CASE is now published as Thinking Science Students have to wrestle with the notion of fair testing, controlling variables, sample size and so on. The key to the activities is that the teacher needs to allow the students to struggle – to experience ‘cognitive conflict’ – before they make the connections. Giving them the answers doesn’t work. Collaborative group work – When students in groups are set a clear goal, and roles are defined within groups to avoid passenger-syndrome, the level of challenge can be massive. Look at this superb post by Alex Quigley on Top 10 Strategies for group work. Group work should not require massive planning; the elements of effective, challenging group work should be routine, something a great teacher could spontaneously introduce in any lesson. Self directed progression. This approach allows students to experience skateboarding-style flow in regular lessons. For example in maths, students can work through levels of questions of increasing difficulty by self-checking answers as they go. Or, a series of tasks (using text books or other resources) can be made available and students can be given freedom to select their own sequence; this might include asking students to select which questions to answer so that they are working at the optimal challenge level. Pace. I have suggested elsewhere in my Learning Arcs post, that ‘pace through depth and not speed’ is a valid concept. Pace can be fast or slow. Learning takes the time it takes. However, sometimes, a faster pace is needed and challenge emerges from creating a sense of urgency. For example in Technology and Art – or in extended book work – students can drift; they can dabble, dawdle and get lulled into a passive mode. Great teachers use time indicators, setting time-goals for task that inject an appropriate level of urgency. Reciprocal teaching.. A superb, routine way to ensure challenge is to ask students to explain concepts back to you , to each other or to another audience through some form of publication or piece of writing. This is a high effect-size mode of learning in Hattie’s work. Routine use of ‘explain that back to me’ or ‘explain it to each other and report what the other person said’ in classroom exchanges, is highly effective. Really, the list of high-challenge activities is endless. However, as with all these ideas, the over-riding thing is that they stem from a general disposition towards embracing high challenge. At the heart of this is a belief that thinking and struggling are prerequisites for learning and that there is nothing to fear. From skateboarding to the ripstick: if you are too scared; you will fall off. If you go for it, it starts to come together. Challenge. Thank you for this intelligent article. Following blindly a dogma does not lead to knowledge. Like art, a great lesson cannot be narrowly defined as it is an expression of creativity, intelligence and knowledge. Useful suggestions for developing methods to stretch and challenge students. I think I will use more probing questions, directed questioning techniques. Getting students to devise their own questions.